October was one those “mixed bags” for the gaming industry. Compared with a year ago, that average daily stock prices for 12 publicly traded gaming companies are down collectively 8.5 percent. 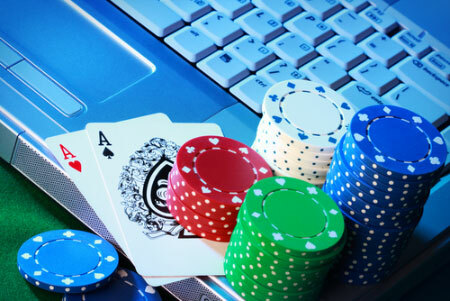 However, more than half of the companies followed by Las Vegas-based financial adviser Applied Analysis for the firm’s monthly gaming index, experienced moderate increases in their average daily price. The index, which tracks some 300 market variables, grew 10.5 percent. Casino company and gaming equipment manufacturer stock prices were closely watched as the bulk of the industry announced quarterly earnings during October. Casinos in Atlantic City were closed as Hurricane Sandy approached the region on Sunday. Caesars Entertainment Corp. operates four of Atlantic City’s 12 casinos while Boyd Gaming Corp. runs the Borgata. Boyd executives said the Borgata lost roughly a half-dozen windows and sustained very little damage. By Friday morning, New Jersey Gov. Chris Christie allowed the casino to reopen and the Golden Nugget was the property up and running. The Borgata and the Tropicana were expected to open in the afternoon. Caesars Entertainment Corp.’s average daily stock price declined 10 percent in October. The company is focused on nongaming growth in Las Vegas, through its Linq development on the Strip, which is a $550 million retain, dining and entertainment complex. Caesars is also looking to grow its gaming business in regional markets, such as Cincinnati and Baltimore, through a partnership with Rock Gaming. Meanwhile, Wynn Resorts Ltd. had the largest jump in its average daily stock price of any company in the index, 5.16 percent. Gordon said improved investor demand for Wynn was a primary reason for the increase in the overall index. The company’s third-quarter financial report exceeded expectations, particularly in Las Vegas. At the same time, Wynn announced a special cash dividend of $7.50 per share and it intends to double the regular quarterly dividend to $1 per share, which would yield $4 per share per year. “Investors responded positively to the news,” Gordon said. Manufacturers also had a mixed month in October. Their average daily share price for Bally Technologies and International Game Technology increased while SHFL Entertainment and WMS Industries tumbled. WMS, which reported earnings on Thursday, didn’t impress several analysts. JP Morgan gaming analyst Joe Greff said the slot machine manufacturer could be heading into “another phase” of declining earnings per share over the 12 months. Greff said WMS said competition from rival slot machine manufacturers and the lack of new U.S. gaming markets or property expansions, could slow the company’s sales efforts.